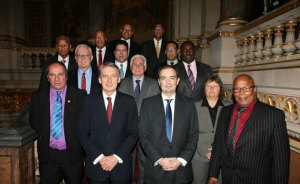 Premier Dr. theHonourable D. Orlando Smith, OBE has concluded a week of talks with the United Kingdom (UK) Government in London where he joined other Overseas Territories (OTs) Leaders at the Joint Ministerial Council (JMC). The meetings covered a wide range of topics that included economic development, financial services, security, policing, passports, health, and pensions, among other things. The Premier co-chaired a plenary session on environment with Lord de Mauley, Parliamentary Under-Secretary at the Department for Environment, Food and Rural Affairs (DEFRA), where he made a statement on behalf of the OTs on the economic value of the environment. In his remarks the Premier said, “It is certainly a useful exercise for us to collectively reflect on the economic value of the environment. While this most readily applies in most of our contexts to the tourism sector, it is also applicable to the agriculture and fisheries sectors that are essential industries for a number of Overseas Territories”. The Joint Ministerial Council meetings concluded with the issuance of a joint communique which, among other things, sets out the collective commitments agreed by the UK and the OTs. The Premier was joined by Acting Permanent Secretary, Mr. Brodrick Penn, acting Deputy Director of the International Affairs Secretariat Ms. Najan Christopher and Director of the BVI London Office, Mr. Benito Wheatley. 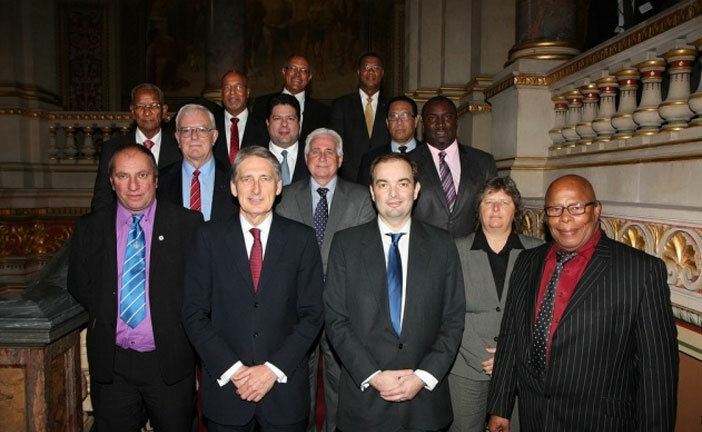 The Joint Ministerial Council was launched in October 2012 following the publication of the June 2012 White Paper: The Overseas Territories: Security, Success and Sustainability. The annual meeting brings together UK Ministers and OT Leaders to discuss UK-OT relations.